Cardiovascular Disorders and Medicine is an open access, peer-reviewed journal that considers articles on all aspects of heart and cardiovascular system mainly focussing on prevention, diagnosis, treatment and management of disorders. It includes hypertensive heart disease, psychological stress and cardiovascular disease risk, biomarkers and cardiovascular risk prediction, vitamin d and cardiovascular disease, preventive cardiology, valvular heart disease as well as related molecular and cell biology, genetics, pathophysiology, epidemiology, and controlled trials. CDM will feature original research, review, book review, clinical case study, clinical trial, data report, evidence based medical research reports, observational studies, editorial, hypothesis & theory, methods, mini review, opinion, original research, perspective studies, commentaries, review and technology report. Please, follow the Instructions for Authors. The acceptance criteria for all papers are the quality and originality of the research and its significance to our readership. Except where otherwise stated, manuscripts are peer reviewed by two anonymous reviewers and the Editor. In the cover letter add the name and e-mail address of 5 proposed reviewers (we can choose them or not). Copyright is retained by the authors and articles can be freely used and distributed by others. Articles are distributed under the terms of the Creative Commons Attribution License (http://creativecommons.org/licenses/by/4.0/), which permits unrestricted use, distribution, and reproduction in any medium, provided the original work, first published by CDM, is properly cited. 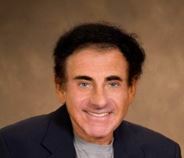 Richard Kones MD began as a mathematically inclined chemical engineer, and then attended NYU School of Medicine. Inspired by a mentor in the Physiology department, he conducted independent research studying aldosterone with a novel technique, and became a full member of the New York Academy of Sciences while still in medical school. He completed training in New York, continued a NIH Fellowship in cardiology at Tulane University School of Medicine, and worked at the Charity Hospital and Veterans Administration Hospital in New Orleans. He returned to New York Medical College to continue researching actions of inotropic agents, myocardial function, preservation of ischemic myocardium, and cardiogenic shock, eventually relocating in Texas. An avid supporter of applications of biochemistry and physiology, he continued teaching and publishing, emphasizing translational research. In addition to presentations, lectures, has mentored medical students and house staff at several medical schools and affiliated hospitals. His interests turned to the role pathological signaling plays in the pathogenesis of atherothrombosis, especially the interaction of inflammatory mechanisms, endothelial dysfunction, mitochondrial involvement in disease, lipid metabolism, metabolic syndrome and related evidence-based interventions to improve clinical outcomes. Fundamental mechanisms and molecular and cellular cardiology have been central to his work. A current project is a comparison of the use of different methods of revascularization with respect to guidelines and outcomes. During the course of his academic career he has received several scholarships, awards, and grants. His work includes publications in peer-reviewed medical journals, books, presentations, and lectures. He serves on a number of committees in various medical organizations, peer reviews for over 130 medical journals, and volunteers for the mentoring programs in the American Society for Clinical Pharmacology and Therapeutics and American Heart Association. Over the years, Dr. Kones’ biography has appeared in a number of editions of Who’s Who and other biographical registries. At its inception, he was appointed one of the founding editors of Medpedia online, a collaborative educational project among several medical schools, and served as a Board Member of the Committees on Cardiovascular Disease, Internal Medicine, and Nutrition of the Medpedia project. Currently he is Editor-in-Chief of Research Reports in Clinical Cardiology and sits on the Editorial Boards of other journals. Some publications may be viewed at http://www.ncbi.nlm.nih.gov/pubmed/?term=kones+r as well as https://www.researchgate.net/profile/Richard_Kones_MD_FAHA. Dr Kones has peer-reviewed, some repeatedly, for over 130 journals over the years. He is a Fellow of the American Heart Association, European Heart Association, Royal Society of Medicine, Royal Society of Public Health, Fellow of the New York Cardiological Society, now merged with the New York Chapter of the American College of Cardiology, and a Founding Fellow of the American Geriatrics Society, and the American College of Pharmacology. He is a member of the ESC Council for Cardiology Practice, European Heart Rhythm Association, Acute Cardiovascular Care Association, the Heart Rhythm Society, and the Heart Failure Association. Dr. Kones is an emeritus member of the American Physiological Society, a member of The Physiological Society in London, as well as the International Union of the Physiological Sciences. He is also a member of several Councils in the American Heart Association, a member of the American Society for Clinical Pharmacology and Therapeutics, and Fellow in both the American College of Angiology and International College of Angiology. His other affiliations include the Society for Critical Care Medicine, European Atherosclerosis Society, International Atherosclerosis Society, American Society for Hypertension, National Lipid Association, American Association of Cardiovascular and Pulmonary Rehabilitation, American Society for Preventive Cardiology, Society of Atherosclerosis Imaging and Prevention, International Society for Heart Research, Heart Failure Society of America, American Diabetes Association, Endocrine Society, American Thoracic Society, Inflammation Research Association, and the Metabolic Syndrome Institute. He has also been a long-standing active member of the French Society of Cardiology and other notable scientific organizations and working groups. The American Physiological Society has recognized Dr Kones for sustained years of active service, as did the American College of Sports Medicine with a commemorative award. He has volunteered on mentorship panels of the AHA, Endocrine Society and the American Society for Clinical Pharmacology and Therapeutics. Dr Kones is a supporter of, and volunteer in, the American Heart Association’s Advocacy Program, among other health advocacy groups (www.linkedin.com/in/richard-kones-md-faha-fesc-frsm-fccp-frsph-50032617). A competitive tennis player in youth, he remains an exercise and healthy lifestyle enthusiast. *Pubmed: Only selected publications will be indexed. Cardiovascular Disorders and Medicine is an Open Access journal and we do not charge the end user when accessing a manuscript or any article. This allows the scientific community to view, download, distribution of an article in any medium, provided that the original work is properly cited, under the term of "Creative Commons Attribution License". In line with other open access journals we provide a flat fee submission structure on the acceptance of a peer-reviewed article which covers in part the entirety of the publication pathway (the article processing charge). The process includes our maintenance, submission and peer review systems and international editing, publication and submission to global indexing and tracking organisations and archiving to allow instant access to the whole article and associated supplementary documents. We also have to ensure enough investment to secure a sustainable model which ethically, legally and financially stable. 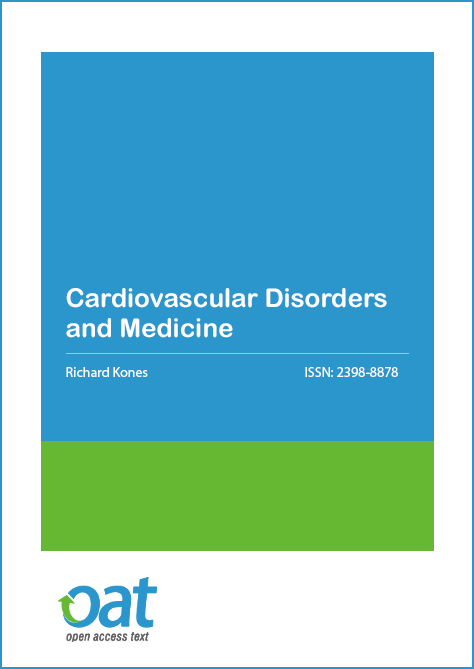 The publication charges for Cardiovascular Disorders and Medicine are GBP 990. Why are your charges set at these levels? All articles published in OA Text are open access. Open Access publishing implies that all readers, anywhere in the world, are allowed unrestricted to full text of articles, immediately on publication in OA Text Journals. The Article Publication Charges pay for the editorial and production costs of the journal, for hosting the website, publishing articles online, preparing HTML , PDF and XML versions of the articles and submitting the articles in electronic citation database like CrossRef. Bend the publication-charge cost downward over time. Who will pay the APC? Corresponding author or Co-authors has to make the payment on acceptance of the article. Corresponding author or the paying institutions should arrange for the payment once they are notified regarding acceptance of the article. APC is exempted for cases in which a wavier agreement has been made in-prior to submission. *We request an immediate attention towards the payment as the articles will not be published unless the charges have been paid. Authors or institutions can make payments by two modes as per their convenience. Note: No taxes are included in this charge, taxes will be applicable as per the policies of the country of the payee. Additional transaction charges may be levied on the author. Can I be eligible for wavier on APC? The waiver request will be considered on a case-by-case basis, and will be provided accordingly. *The Waiver requests must be made during the submission process and will not be accepted after processing of the manuscript. Do I have to pay if my manuscript is rejected? No, Article processing charges will not be applicable for articles rejected by the Editorial office. Are reprints of my article included in the article processing charges (APCs)? No, Article processing charges (APCs) do not include the charges for the reprints. Reprints facility is optional and should be order separately.